The buyer was Ray & T Properties LLC, 182 April Sound, Benton, AR 72015. The managing members of the buyer are Pamela Jean Ray, The Ray Family Trust with Pamela Jean Ray successor trustee, and the Jerry D Thatcher Trust with Jerry D. Thatcher trustee. The seller of the property (assessor's parcel 384-311-27) was 9745 Prospect St. LLC, with Ave. LLC as managing member. Jose Luis Andreu is the managing member of Ave. LLC. The acquisition was financed with a loan of $1.55 million from Opus Bank. The two-story building was constructed in 1982 on a 1.16-acre lot. 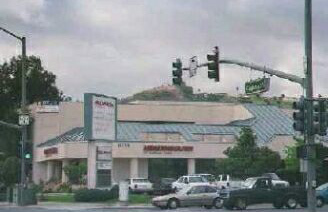 In December 2002, the property was sold for $1,505,000 with financing of $1.05 million from San Diego County Credit Union.